In 2012, investigations found that researcher Yoshitaka Fujii had fabricated well in excess of 100 papers, and recommended scores of retractions. Yet years later, publishers are still cleaning the literature of his problematic work. 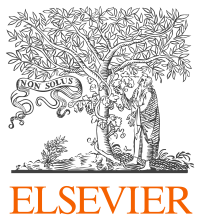 Over the last several months, four journals — three published by Elsevier, one by Springer — have retracted 21 papers by Fujii. Seventeen retractions stem from one journal — Clinical Therapeutics. 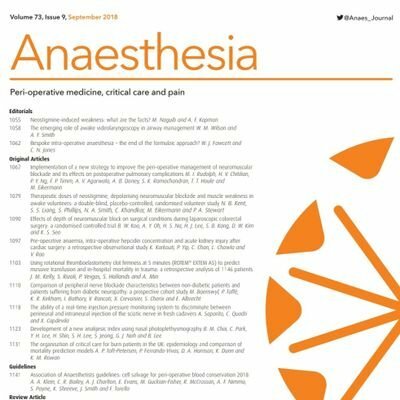 The Japanese Society of Anesthesiologists (JSA) has requested the retraction of nine additional papers by a co-author of fraudster Yoshitaka Fujii, after investigating allegations of fraud in dozens of papers. In 2012, John Carlisle, a British anesthesiologist, demonstrated conclusively using statistics that Yoshitaka Fujii had faked data in many studies. Fujii — as followers of this blog well know — now holds the record for most retractions by an individual author (183). Carlisle’s work accomplished two things: It put to rest any doubt that problems with Fujii’s work might have resulted from innocent mistakes, and it gave journals a mathematical tool for conducting investigations into potential cases of misconduct. Now comes the payoff. In a new paper, Carlisle and another anesthesiologist, John Loadsman, take aim at one of Fujii’s frequent co-authors, Yuhji Saitoh of Yachiyo Medical Center and Tokyo Women’s Medical University in Japan. The pair analyzed data from 31 studies Saitoh published between 1993 and 2012 — including one study that was rejected in 2015 — for a total of 32 papers. Of those, 23 did not include Fujii as an author. Nearly four years after an analysis of more than 160 papers by Yoshitaka Fujii concluded the chances the data were authentic were infinitesimally small, the British Journal of Ophthalmology has decided to formally retract one of the papers included in that review. The name Yoshitaka Fujii should ring a bell — an alarm bell, in fact — for our readers. He’s firmly listed in the number one spot on our leaderboard, with more than 180 retractions. The recently retracted paper — “Ramosetron compared with granisetron for the prevention of vomiting following strabismus surgery in children” — has been included in that retraction total for years, because it was part of a seminal 2012 analysis by J.B. Carlisle that put the odds of data occurring naturally in some of Fujii’s papers at: Continue reading 2001 Fujii papers retracted — finally. What took so long? A Japanese web site is reporting that Yoshitaka Fujii, a Japanese anesthesiologist suspected of widespread data fabrication, did indeed fake his results in at least 172 published studies. Three journals under the JAMA umbrella are retracting papers by Yoshitaka Fujii, the Japanese anesthesiologist accused of research misconduct so sweeping that it might net him the record for most retractions by a single author. The papers, in the Archives of Surgery, Archives of Ophthalmology and the Archives of Otolaryngology — Head & Neck Surgery, were published in 2001 and 2005.